Do you want to learn astrology but are put off by the different schools of thought, complex terminology, and vague explanations? Would you like to explore the original ways that the basic elements of astrology were used? Hellenistic astrology is the name of the astrology from which all chart-based astrology descends, including Indian astrology and modern Western astrology. While it is about 2,000 years old, it is still possible to learn its techniques today. If you feel drawn to astrology, the study of Hellenistic astrology will reward you as it is clearer and richer than most modern astrology. You will get the added benefit of connecting to astrology’s roots and learning the origin of elements of astrology still in use today, such as signs, aspects, and houses. However, skeptics of astrology can also benefit from its study, as they will learn the original rules of the game and can better evaluate practitioners of more sophisticated forms of astrology. This series will fill a strong need for a quick and dirty introduction to ancient astrology for beginners and intermediate students. In this series, I will attempt to present things in such a way that anyone will be able to very quickly start reading charts from a Hellenistic perspective. I hope to allow you to understand the other articles on this site and start exploring primary source material. 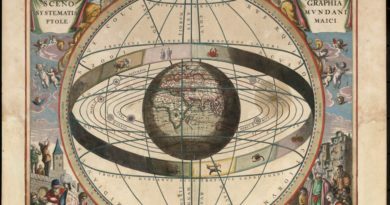 In this lesson zero, I introduce how the astrology we will study fits into the history of astrology. If you want to dive into doing actual astrology, please feel free to skip this lesson and come back to it. For those itching to go further, I highly recommend Chris Brennan’s Hellenistic Astrology and Ben Dykes’ Introductions to Traditional Astrology to keep as reference works. For those who would like a full course on fundamentals, there’s Chris Brennan’s Introduction to Hellenistic Astrology Course. By ancient astrology, I mean the type which arose in the last couple centuries BCE, in the Mediterranean region, particularly around Egypt. Prior to the advent of this new system, astrologers had read omens in the sky. They had done this for thousands of years, with particular intensity in Mesopotamia. However, around the 1st or 2nd century BCE, a melding of Babylonian, Egyptian, and Greek knowledge resulted in a new astrology using charts of the sky to interpret all manner of inquiries. One of the key innovations to come out of this revolutionary system was that it fixed the sky to a specific place and time according to the sign of the zodiac (section of the sky) that was rising in the east, called the horoskopos (horoscope) or Ascendant. A chart of the positions of the signs and planets relative to this sign was drawn. These charts are also known as “horoscopes”, so this chart-based astrology is called “horoscopic astrology”. Topics were assigned to different areas of the chart and a specific new set of principles were used to interpret the chart. This astrology became very popular and widespread in Egypt, Europe, Persia, and even India. It transformed each culture’s omen lore tradition into a “horoscopic” tradition; an Astrology 2.0 if you will. We refer to the original horoscopic astrology as Hellenistic astrology because it was practiced by people who wrote in Ancient Greek (the scholarly language of the time around Alexandria, Egypt and the Mediterranean). Texts quickly also appeared in Latin, Pahlavi, and Sanskrit, but even in these other languages, the early system is called Hellenistic astrology. The system spread to India (see Yavanajataka) where a sophisticated omen astrology had existed for thousands of years and transformed their astrology (eventually into the Indian horoscopic tradition of Jyotish). 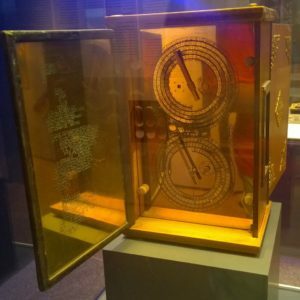 Interestingly, the first mechanical computer is an astronomical clock to calculate planetary positions for astrological work. It dates back to the 1st-2nd century BCE, around the time that Hellenistic astrology was born. One might expect that we’d have only scraps from this 2,000-year-old fringe field of study. We actually have many multi-volume ancient textbooks on the subject. There is a lot of material in Hellenistic astrology, and it is very diverse. Despite a common foundation, different authors stressed different techniques and approaches from the beginning. They did not all agree. While there are attempts at reconstructing an original or proto-Hellenistic astrology, one of the strengths of the period is its diversity. Not everything proposed works, but with multiple ancient astrologers expressing their take on a matter, and an abundance of chart data available today for analysis, we have plenty of approaches to test out and refine. Most of the material did not see its first translation into English until the late 20th century. One of the largest and most important works, the nine-volume Anthology of Vettius Valens, was not completely available in English until 2010 (translation by Mark Riley). The oldest surviving complete works date back to the 1st century CE. However, many of those works are already large, refined, and reference earlier source material. In fact, both of the surviving full works from the 1st century, those of Manilius and Dorotheus, are lengthy poems (verse), which is an indication of thorough prior familiarity with the material. 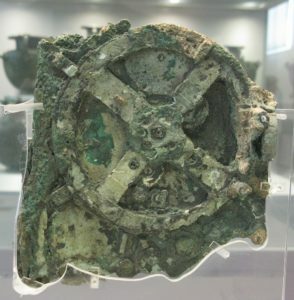 A reconstruction of the Antikythera Mechanism (click the photo to read a Smithsonian article about the mechanism). Dorotheus wrote the large and influential Carmen Astrologicum in the 1st century CE, which had 4 books on interpreting charts of birth time (natal astrology) and 1 book on choosing lucky times to start activities (electional astrology). Ptolemy, a notable “scientist” (natural philosopher) of the day, wrote the large Tetrabiblos (2nd century CE). This text has material on birth charts and also material on interpreting charts for weather and political events (mundane astrology). Valens wrote what is probably the most informative text of the era, the Anthology (2nd century CE). He cites a number of techniques from other ancient authors which would otherwise be unknown. The nine volumes deal with natal astrology (birth chart interpretation), especially methods for predicting important life events. Maternus wrote Mathesis (4th century CE), which is another very large text on birth chart interpretation, but one less focused on predictive techniques than Valens. A great reference text of definitions by an author named Antiochus (2nd century CE or earlier) is now lost but its important definitions were copied into the Introduction to the Tetrabiblos of Porphyry (3rd century CE) and the Compendium of Rhetorius (7th century CE), making them important references for this lost text on the early rules of the game. After the decline of the Roman empire, intellectual activity in the region strongly shifted from the Greeks (and Romans) to their neighbors, the Persians, who translated Greek science and philosophy into their language, Pahlavi. Muslim Arabs conquered the Persians in the 7th century CE. They translated Greek and Pahlavi material on natural science and philosophy (including astrology) into Arabic. Some of the greatest Persian and Arab minds of the age wrote on astrology. Working with Hellenistic texts, they developed ideas and sought to advance the art of astrology. In many ways, today’s Hellenistic astrologers are focused on the same task. However, the translation and transmission of the Hellenistic material resulted in some key changes and additions that transformed the way a chart is interpreted during this period. I refer to this early medieval astrology as Persian astrology or Perso-Arabic astrology, to distinguish it from the Hellenistic astrology that came before it and the European Medieval astrology that followed. 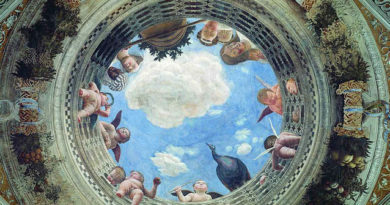 The Carmen Astrologicum of Dorotheus was a major influence upon the astrology of the Persian period, particularly in the development of the astrology of choosing lucky times (electional astrology) and the astrology of finding answers to questions in the chart of the time the question is asked (horary astrology). The Persians had an existing system of omen-lore for predicting world events and so some of the most important developments in using charts to interpret and predict world events (mundane astrology) also occurred during this period. In the last 15 years, we have seen the first English translations of many of the most important Perso-Arabic works. Dr. Ben Dykes is the more active translator of these works. His translations have been of the highest quality, with extensive footnotes relating the works to their Hellenistic sources, so I heartily recommend them, especially the Persian Nativities series. The key figures in Perso-Arabic astrology include Mashallah ibn Athari (8th century), Abu ‘Ali al-Khayyat (9th century), Umar al-Tabari (8th-9th century), Abu Bakr (9th century), Abu Ma’shar (9th century), Al-Kindi (9th century), Al-Qabisi (10th century), and Al-Biruni (10th-11th century). Interestingly, the writings of the astrologer Abu Ma’shar have also been argued to be the single greatest source for the recovery of the ideas of Aristotle in Europe prior to the middle of the 12th century. During the High Middle Ages, Arabic material became translated into Latin, particularly in Spain. This translation wave saw a return of Hellenistic scientific and philosophical thought to Europe, leading eventually to the Renaissance. 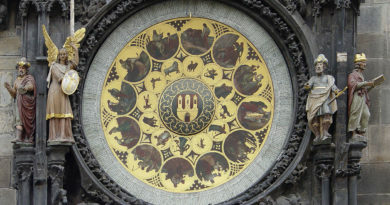 While some of the greatest minds of the European Middle Ages and Renaissance worked on this astrology, it came to resemble a somewhat watered down version of late Perso-Arabic astrology, rather than a return to Hellenistic astrology. This was due to a combination of factors, including the selection, quality, and availability of the translated texts, as well as varying degrees of social pressure against astrology from the church and those in the intellectual community. A 16th century Latin translation of Abu Ma’shar’s classic text of mundane astrology, On the Great Conjunctions. Some of the distinct features of the late European tradition include assigning topics of life in the chart (houses) by dividing the chart spatially (quadrant houses) rather than by assigning the topics to the signs themselves based on their order around the chart starting with the sign on the eastern horizon. There was also very little use of certain key features of Hellenistic astrology, such as the lots (see link for more details on lots) due to false suspicions that they were invented by the Arabs. While some features that were invented in the Perso-Arabic period, such as the use of pointing systems to assess a planet’s relationship to some area of the chart and the strength or quality of the planet’s indications, became key features of later traditional astrology. Gradual changes in emphasis eroded Hellenistic astrology throughout the later traditional period. For instance, the point-based analysis ignores sect, a distinction made by many major figures in Hellenistic and Persian astrology. By contrast, the point-based system elevates more marginal distinctions like “detriment” (when a planet is in the sign opposite from the one it rules), a distinction ignored by most Hellenistic astrologers. There are a number of historically important astrologers who practiced during the later traditional period. Guido Bonatti, Jean-Baptiste Morin, Johannes Kepler, and William Lilly are among the most influential. Bonatti (13th century) synthesized some of the Perso-Arabic material in his work. Bonatti is a favorite of 20th-century medievalist astrologer Robert Zoller. Morin (17th century) wrote volumes on interpreting the natal chart and a few of those volumes became key texts of 20th-century traditional astrology (particularly those on interpretive principles and on solar returns). Johannes Kepler, best known for his astronomical work, was a 17th-century astrologer who sought to reformulate astrology according to his own ideas. William Lilly (17th century), an English astrologer, wrote primarily on answering questions (horary astrology). He continues to influence the practice of horary astrology today. 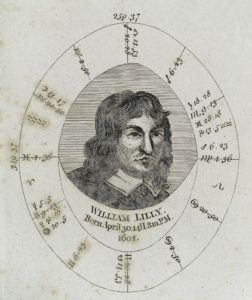 William Lilly and his birth chart. 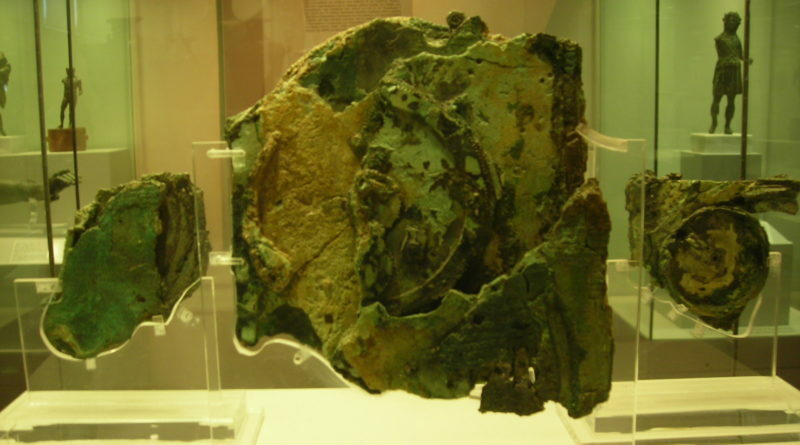 While traditional astrologers originally focused on the late European tradition, this is changing as more people discover the earlier Hellenistic and Persian material. Traditional astrologers neglected Hellenistic and Persian astrology until recently due to a lack of texts in modern languages. We have translators to thank for today’s renewed interest in ancient forms of astrology. From the late 19th century through the 20th century, astrology became reformulated under the influence of theosophy, modern psychology (especially Jungian psychology), and a number of self-styled gurus. 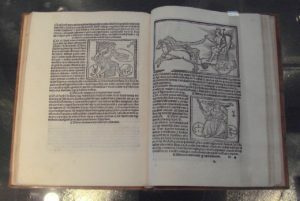 The mainstream of modern astrology, including nearly all of the astrology books in popular bookstores, may be termed “psychological astrology” or “new age astrology”. Unfortunately, very little pre-modern astrology is readily available in bookstores. Popular astrology consists of re-inventing the wheel in order to promote a specific set of psychological or spiritual assumptions, often by distorting and oversimplifying a few of the original principles of astrology. You are probably familiar with newspaper horoscopes, Sun sign books, and maybe even more detailed modern astrological works. More detailed modern astrology looks at Moon signs, Rising signs, planets in signs, planets in houses, planets in aspect, etc. Such modern works claim to provide information about personal traits like character and compatibility. Clearly, the stress in modern astrology is on exploring the character, preferences, and “psyche”. The activity observed in the sky mirrors the functions of the soul. Different planets and chart factors represent distinct functions (modules) of one’s soul or psyche. In this view, an astrological chart reveals the unconscious changes taking place in the individual and collective psyches. These changes only sometimes materialize in actual events, but they are always “real” in some psycho-spiritual sense. 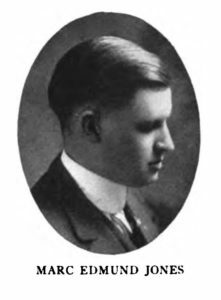 Marc Edmund Jones played a central role in guiding the reformulation of astrology in the early 20th century. As all factors are components of the psyche in such a system, the most powerful factors, i.e. the Sun and Moon, come to represent the central components of the person’s psychological makeup and character. Thus the Sun in modern astrology is the popular go-to factor for analyzing character (the Sun sign). Horoscope columnists even attempt large-scale prediction for all those born with the same Sun signs. Books providing very elaborate personality delineations based just on the Sun sign (such as Linda Goodman’s Sun Signs) and/or compatibility between Sun signs (“love signs”) continue to be very popular with the public. However, both the over-emphasis on the Sun’s sign and the over-emphasis on personality, are inconsistent with ancient astrology. Contrast the focus on the personal unconscious in modern astrology with the focus on all facets of life in ancient astrology, not just psychology. The chart speaks of events that are internal and external, personal and impersonal, subjective and objective. For instance, in one person’s chart, the Sun may speak volumes about the personality, while in another’s it may say more about the person’s career, spouse, boss, or father. Not everything in the chart provides indications about the internal functioning of the person’s personality. As ancient astrology has a lot to say about non-psychological circumstances, there is a myth that ancient astrology says little about personality, belief, spirituality, and fulfillment. Actually, many ancient astrological authors addressed the topics of personality, spirituality, and morality at great length. Additionally, the fuller feature-set of Hellenistic astrology allows for more complex and nuanced analysis which better captures the diversity of human experience than the 12 Sun Sign personalities and other over-simplistic approaches to character analysis. In ancient astrological interpretation, there may be 3 planets with strong ties to the mind and personality, each with very different significations, and they may even be in a tense conflict with each other. There may be indications for when one of those becomes more prominent than the others and when difficult or beneficial circumstances shown by them may manifest. We can even find a 2nd-century Hellenistic astrologer (Ptolemy) distinguishing indications referring to the unconscious mind from those referring to the conscious mind. The wider vocabulary of ancient astrology is a welcome move away from the type of astrology that insists that Walt Disney, Josef Stalin, Jimi Hendrix, Brad Pitt, Ted Bundy, and Miley Cyrus all have the same core personality (or main ego drives, etc.) because all were born with the Sun in Sagittarius. While the signs of the Sun and the Moon are the primary factors for the character in modern astrology, the planets themselves rather than their signs were the focus for character analysis in ancient astrology. The Sun and Moon are powerful in ancient astrology, but in a general sense. They signaled power, prominence, and influence generally. If the Sun and/or Moon had a strong influence over character then they’d symbolize a bolder and more vibrant character. However, the Sun and Moon are not always the central factors for determining the nature of someone’s character. The eastern horizon, called the horoskopos, Ascendant, or the Rising point, is the key symbol of the individual in the chart. This is the point where the vast sky, a symbol of boundless potential or the soul of the universe, appears to rise up out of the Earth, a symbol of the finite personal body, It is like a soul peering through a body, or infinite potential taking finite form. Planets ruling or otherwise influencing this point (i.e. planets ruling or in the rising sign for instance) take on particular relevance for interpretation pertaining to the specific individual. The degree of the Ascendant is based on the earth’s rotation, so it is dependent on one’s specific location, and the degree of the Ascendant changes roughly every 4 minutes (the sign changes roughly every 2 hours). Compare this with the Sun sign which changes once per month. In this way, ancient astrology links the self with the most individual part of the chart, the part dependent upon the particular moment and location of birth, rather than a factor that is the same at any place for one-twelfth of any year. The rest of the chart shows the circumstances of the individual’s life. Predictive techniques animate areas of the chart to symbolize the individual put into contact with those circumstances, including even the possibility for development and change of the individual and aspects of their personality. 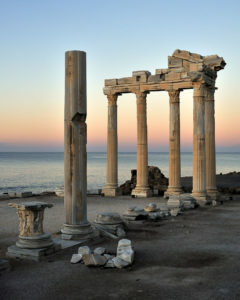 Sunrise at the ruins of the Temple of Apollo at Side, Antalya, Turkey. In the twelve lessons that will follow in this series, we will begin with the planets and work our way to full chart analysis and prediction using ancient astrology. From the first lesson, we will begin thinking in the language of astrology. We will use this language to describe all manner of circumstances, so the accurate application of it to our daily lives will become key to reading charts. We will explore personality and a whole lot more. By the end of the series, you will be able to hone your craft by analyzing charts and critically testing techniques. In addition, you will be able to explore the neglected ancient source material for new ideas and perspectives. I cannot seem to find links to Lessons eight through twelve (8 – 12). Any help would be greatly appreciated! Your eyes are not deceiving you. They have not been published yet. Lesson 7 was just published this year. It’s safe to say that Lesson 8 and maybe Lesson 9 will be out in 2019. Lesson 8 is on the principles of delineation (i.e. figuring out what things are promised by the complex network of symbols in the natal chart, so that you can then turn to timing techniques to discover when they are most likely to occur). Lesson 9 is on predictive techniques that pertain to major periods of life (large spans of time). Thank you so much for putting this up for free. Much appreciated.